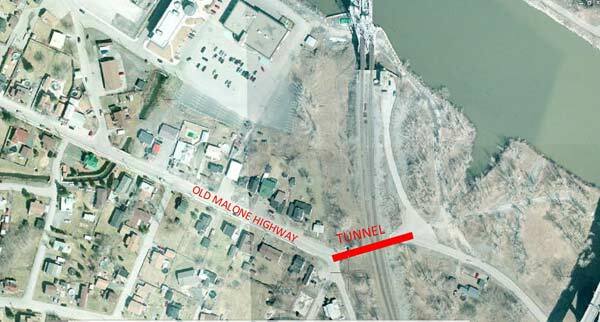 The Capital Unit of the Mohawk Council of Kahnawà:ke would like to inform the Community of the upcoming closure of the Old Malone Highway Tunnel for the installation of the new pressure sewer line. The closure will take place on Wednesday, November 8th, or Thursday, November 9th, weather permitting. Shown below is a map of the general area. The shaded area indicates where the closure will take place. Your patience throughout this project is greatly appreciated. Please contact the Technical Services Office at (450) 635-1016 if further information is required.